According to a new “Leaderboard report” from Navigant Research, LG Chem and Samsung SDI lead the Li-ion grid storage market in terms of strategy and execution. "LG Chem and Samsung SDI, both based in South Korea, have market-leading businesses for the electric vehicle and consumer electronics markets, which has created a foundation allowing for economies of scale through manufacturing," says Anissa Dehamna, principle research analyst with Navigant Research. "Both companies have positioned themselves as global manufacturers and can offer consistently low prices for quality Li-ion cells." 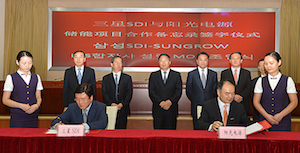 South Korea’s lithium-ion manufacturer Samsung SDI has signed a memorandum of understanding to form a strategic commercial alliance with automation technology group ABB. 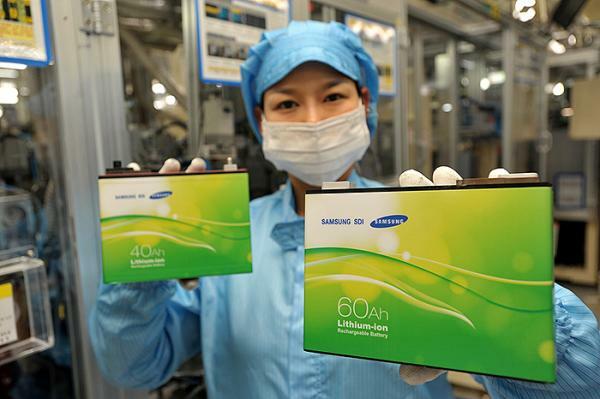 Lithium-ion battery company Samsung SDI Co. Ltd., has bought Magna Steyr’s battery pack business for an undisclosed fee. The deal includes all of the Austrian company’s 264 employees, production and development sites and existing contracts of the business. The price of lithium-ion batteries for electric vehicles and energy storage systems (ESS) have fallen by a third in the past year, according to a report by Korea’s Electronic Times. It reports the price of mid-to-large lithium-ion secondary battery cells dropped from $500-600/kWh last year to $350/kWh. In South Korea, said to be less competitive than the global market, batteries are traded at $400-500/kWh. 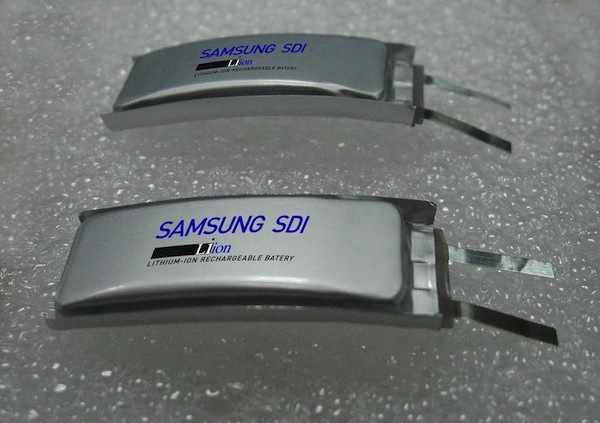 Samsung SDI finalised its takeover of electronic materials manufacturer Cheil Industries on 1 July. On March 31, Samsung announced it would pay Cheil Industries’ shareholders 0.44 shares in Samsung SDI for each Cheil share held. The European Commission is taking the UK to court over its reduced VAT rate on energy-saving products. The UK charges 5% instead of the standard 20%. Under EU VAT rules, discounts are only allowed for social policy reasons, not environmental reasons. In a statement, the European Commission said: "Member States themselves unanimously decided on the list of goods and services that could benefit from a reduced VAT rate, and they also insisted that this list be strictly applied, with no room for manoeuvre or interpretation. This is important to prevent competitive distortions in the Single Market and to ensure a fair and level playing field between all Member States." The Commissions added economic studies showed reduced VAT rates "are often not the best way to achieve policy objectives" and direct subsidies could be more efficient. Samsung SDI and Xtreme Power are installing a 1MW/1MWh lithium-manganese oxide energy storage system for a demonstrative smart grid project in Texas. The system, to be installed at the Reese Technology Centre in Lubbock, is partly funded by the Department of Energy. The project aims to promote utility scale energy storage with wind energy. The battery system will be utilised to regulate power generated from local wind turbines that suffer from intermittent loss of generation. Samsung’s lithium-ion battery technology together with Xtreme Power’s Xtreme Active Control Technology (XACT), which gives millisecond response time, will enable the wind generated power to be fed into the national grid. This is the first project Samsung SDI and Xtreme Power have worked on together to provide energy storage solutions for renewable integration and grid support. The companies have formed the alliance to reach renewable energy goals and promote a cleaner electric grid. San Jose State University will be offering courses specifically designed for students who want to work with battery technology. The University is partnering with Lawrence Berkeley National Laboratory and CalCharge to offer the professional programme of education at the University’s Charles W. Davidson College of Engineering, which feeds more graduate engineers into the Silicon Valley workforce than any other university. California has over 40 battery-related companies working on energy storage solutions for electric vehicles, consumer electronics and the renewable energy storage sector. The courses are offered in response to changing workplace demands in the high tech battery industry.